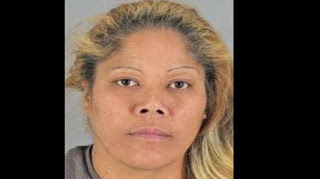 A woman of Tongan origin has been sentenced to six years in prison in California Tuesday for binding an elderly woman in her care and ransacking her house in El Granada last year. Zoranna Mapapalangi, 39, pleaded no contest last week in the courtroom of Judge Donald Ayoob to robbery, elder abuse and threats in a deal with prosecutors. San Maeto Daily Journal reports Mapapalangi was sentenced to the six years with 224 days credit for time served. Mapapalangi was arrested a few days after the woman was robbed. Prosecutors said she was one of two suspects who entered the 75-year-old woman’s home on the 200 block of Coral Reef Avenue just after midnight on Aug. 14. The woman was sleeping when someone put a pillowcase on her head and bound her wrists. One of the intruders demanded money, but when she wouldn’t tell them where her money was, they ransacked the house, prosecutors said. The victim told investigators that she recognized her caretaker’s voice as one of the assailants. Mapapalangi’s husband, was initially arrested and charged with robbery as well, but later released when prosecutors decided they could not prove his involvement. The second assailant in the case has never been identified and remains at large. Det. Salvador Zuno of the San Mateo County Sheriff’s Office had in August last year confirmed to Kaniva News that Mapapalangi and her husband are of Tongan origin.